Kathie Camara ("Ca-mare-a") is a professional portrait and seascape artist who has studied with many famous artists, such as Valerie Stewart from California, Joyce Ortner from California and her son Ran Ortner from New York. In doing so Camara developed a very distinct style and skill. She has won a number of awards & ribbons for exhibiting her artwork and recently (2015) won honorable mention in Martin F. Weber's International People, Pets & Portraits Painting contest. Camara holds many certifications in various mediums and is always attempting to master new skills to better teach her own students. Camara regularly holds acrylic classes and 2-day oil painting workshops for the growing number of students she mentors. Although Camara is well known for her commissioned portraits, pet portraits and wildlife art, her seascapes have really resonated with collectors. Camara lived most of her life in Massachusetts and started her art career there. Following her retirement and move to Florida in 2004, she has become very active in the central Florida art scene. In addition to sponsoring and coordinating workshops in the Orlando, Florida area with many "Big Brush" oil, acrylic and watercolor artist, Camara is also the former Editor of "The Stroking Edge", Donna Dewberry’s quarterly online magazine. "I am elated when a painting turns out how I had envisioned it", said Camara. "I enjoy watching collectors view my work for the first time. Many times I am able to witness the smiles my work can evoke when a happy memory is brought back". Another of Camara's passions is fine art glass work, also known as "warm glass". Her technique involves several layers of cut glass that are fused together at very high temperatures in a glass kiln to form beautiful dichroic pendants. The same glass is fused into larger sheets to ‘slump’ into vases, plates, coasters, candle holders and other decorative glass art. With the merging of all her experience she is now painting and infusing her paintings onto the glasswork to make her fused art truly one-of-a-kind. Camara exhibits her work at several Central Florida Art Galleries and Art Associations and local Florida and Massachusetts gift shops and is a member of several artists associations. Waves crashing on the beach at sunrise. 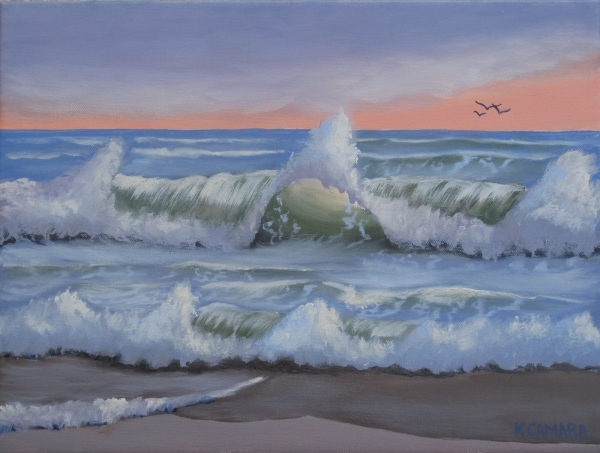 Height 12" x Width 16" x Depth 1"
The waves crashing onto the beach at sunrise break the stillness of the day. They crash onto shore with a big surge, then break up and whisper back to the ocean. 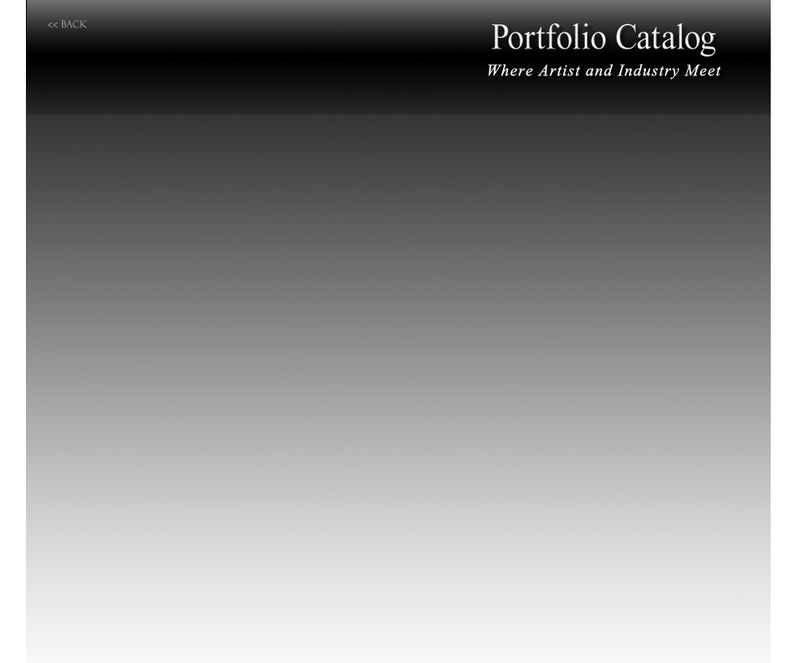 Kathie Camara Professional Artist Kathie Camara ("Ca-mare-a") is a professional portrait and seascape artist who has studied with many famous artists, such as Valerie Stewart from California, Joyce Ortner from California and her son Ran Ortner from New York. In doing so Camara developed a very distinct style and skill. She has won a number of awards & ribbons for exhibiting her artwork and recently (2015) won honorable mention in Martin F. Weber's International People, Pets & Portraits Painting contest. Camara holds many certifications in various mediums and is always attempting to master new skills to better teach her own students. Camara regularly holds acrylic classes and 2-day oil painting workshops for the growing number of students she mentors. Although Camara is well known for her commissioned portraits, pet portraits and wildlife art, her seascapes have really resonated with collectors. Camara lived most of her life in Massachusetts and started her art career there. Following her retirement and move to Florida in 2004, she has become very active in the central Florida art scene. In addition to sponsoring and coordinating workshops in the Orlando, Florida area with many "Big Brush" oil, acrylic and watercolor artist, Camara is also the former Editor of "The Stroking Edge", Donna Dewberry’s quarterly online magazine. "I am elated when a painting turns out how I had envisioned it", said Camara. "I enjoy watching collectors view my work for the first time. Many times I am able to witness the smiles my work can evoke when a happy memory is brought back". Another of Camara's passions is fine art glass work, also known as "warm glass". Her technique involves several layers of cut glass that are fused together at very high temperatures in a glass kiln to form beautiful dichroic pendants. The same glass is fused into larger sheets to ‘slump’ into vases, plates, coasters, candle holders and other decorative glass art. With the merging of all her experience she is now painting and infusing her paintings onto the glasswork to make her fused art truly one-of-a-kind. Camara exhibits her work at several Central Florida Art Galleries and Art Associations and local Florida and Massachusetts gift shops and is a member of several artists associations.